Jewelry is one of those things that are super personal and say a lot about a person. 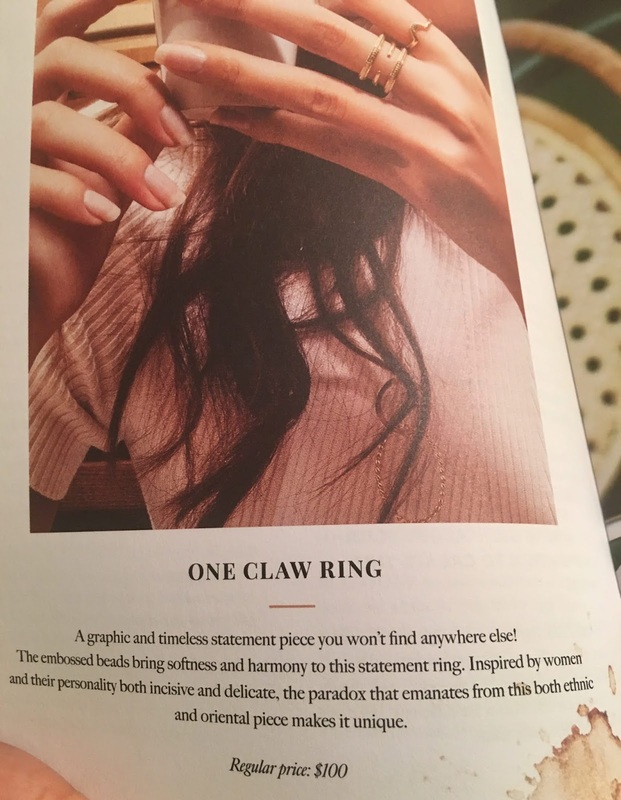 If a person wears jewelry it kind of always gives you an in on what kind of person they are which is a nice non-verbal clue into someone mind. Me, I personally don't wear a lot of it. I have my Tiffany's initial necklace as well as a cool serotonin one and that's it. They're both sterling silver and very simple and say that I'm not a flashy person. When it comes to rings I normally don't wear any because it's really hard for me to find something I'm gaga over. 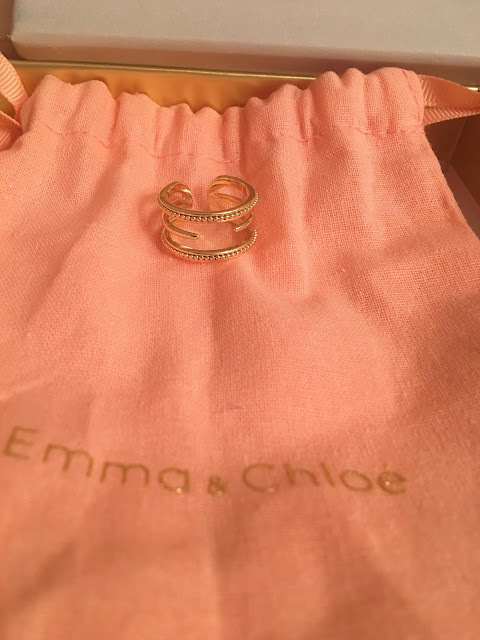 That has changed recently because of this beautiful ring that I received from Emma&Chloe. Emma&Chloe is a subscription box service that picks unique pieces from French designers each month for as little as $30 (depending on the chosen subscription plan) that you can actually keep, unlike others that you have to return and legit rent. These pieces are delicate, well thought of and will totally make an impression when they're being worn. The January box that I received by M.A. Stone contained a ring that is so beautiful. It's brass plated dipped in a gold bath and has embossed beads as a special touch. Normally this would cost $100 but if you subscribed to the January box it would end up running for a lot less- like more than half off! I'm trying to be more visible lately with my insane weight loss and boost of confidence that it's given me and part of that is to step out of my yoga pants wearing self. Wearing delicate pieces of jewelry is a nice way to ease back into the dressy person that I used to be which is something I really look forward to. 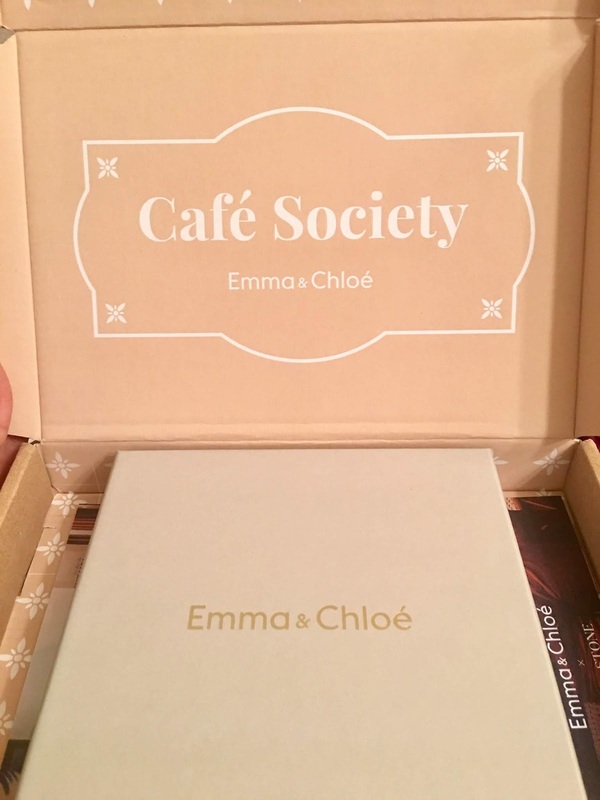 I received this item for free but am going to join because I want to start building a collection of jewelry and the cost of the boxes, how pretty the pieces are and the fact that they only sell French designers has me sold!